OLD TOPPER has more than 49 stakes horses and 26 SW, headed by AIN’T NO OTHER ($715,280), TOP KISSER ($407,100), TOPPER SHOPPER ($345,476), TIE ROD ($330,220), SIERRA SWEETIE ($316,400), SHESATOPATTRACTION and stakes-placed Top This and That ($422,262). 79% starters from foals and an average of almost $50,000 plus per starter. Lifetime progeny earnings $21 million plus. TOP KISSER (2009 f, by Cherokee Run) In US, 7 wins at 4 and 5, $407,100 (US SSI = 9.83): 14. 1st Spring Fever S.-R ($75,000, SA) $125,750, 1st L.A. Woman S. [G3] ($100,250, SA), 1st California Governor’s Cup H. ($45,050, SAC) $75,560, 2nd C.E.R.F. S.-R ($24,200, DMR) $103,390, 3rd Oak Tree Distaff S.-R ($12,050, OTP) $100,870, 3rd Fran’s Valentine S.-R ($12,000, BHP) $100,500. AIN’T NO OTHER (2008 g, by Shadeed) In US, 15 wins, 2 to 9, $715,280, 1st Sensational Star S.-R ($60,000, SA) $100,750, 1st Harry Henson S. [L] ($56,100, HOL) $85,900, 1st Jess Jackson Owners’ H. ($42,400, SR) $66,350, 1st Livermore Valley Wines S. ($40,950, PLN) $63,250, 2nd Pirate’s Bounty S.-R ($24,480, DMR) $105,040, 2nd Pirate’s Bounty S.-R ($23,900, DMR) $97,900, 2nd Donald Valpredo California Cup Sprint S.-R ($20,000, SA) $100,000, 2nd California Flag H.-R ($20,000, SA) $101,250, 2nd Joe Hernandez H. ($19,000, SA) $79,880, 2nd Sam J. Whiting Memorial H. [L] ($15,000, PLN) $75,000, 2nd Jess Jackson Owners’ H. ($13,050, SR) $66,350, 2nd Jess Jackson Owners’ H. ($13,050, SR) $56,910, 2nd Governor’s Cup H. ($9,250, FPX) $50,000, 3rd Pirate’s Bounty S.-R ($13,933, DMR) $104,375, 3rd Lazaro Barrera Memorial S. [G3] ($100,000, HOL), 3rd Morvich S. [G3] ($100,000, SA), 3rd Daytona S. [G3] ($100,000, SA), 3rd Cool Frenchy S. ($11,262, BHP) $80,740, 3rd Jess Jackson Owners’ H. ($7,900, SR) $68,640, 3rd Oakland S. ($7,800, GG) $53,000. Cnr Santa Rosa 5f 00:56.47 (T) 2013. TOPPER SHOPPER (2005 g, by Shadeed) In US, 7 wins, 2 to 4, $345,476 (US SSI = 5.64): 19. 1st I’m Smokin S.-R ($68,040, DMR) $113,400, 1st Foothill S. ($35,750, FPX) $63,050, 2nd Sophomore Sprint S. ($14,300, BM) $59,530, 3rd Barretts Juvenile S.-R ($17,790, FPX) $148,250. TIE ROD (2004 g, by Water Bank) In US, 12 wins, 2 to 8, $330,020 (US SSI = 3.10): 42. 1st Turf Paradise Derby [L] ($60,000, TUP) $100,000, 1st Hank Mills Sr. H. ($30,000, TUP) $50,000, 1st Rattlesnake S. ($27,000, TUP) $45,000, 1st Brian Barenscheer Juvenile S. ($24,000, CBY) $40,000, 1st Turf Paradise H. [N] ($16,800, TUP) $28,000, 2nd Adios Amigos Claiming H. [N] ($9,504, SUN) $43,200, 3rd Bienvenidos S. [N] ($2,610, TUP) $26,100, 3rd Fool The Experts S. [N] ($2,490, TUP) $24,900. Cnr Canterbury Park abt1 1/16m 01:41.24 (T) 2009. SIERRA SWEETIE (2003 f, by =Kendor (FR)) In US, 5 wins at 2 and 3, $316,400 (US SSI = 13.65): 7. 1st Calif. Brdrs’ Chp. S. (Fillies)-R ($83,850, SA) $139,750, 1st Generous Portion S.-R ($60,000, DMR) $100,000, 1st California Breeders’ Cup Oaks [L] ($55,000, GG) $96,250, 1st Courtship S. ($43,450, BM) $74,500, 2nd California Cup Juv. Fillies S.-R ($25,000, OSA) $125,000, 2nd Solano County Juvenile Filly S.-R ($10,100, SOL) $52,300. CHATI’S ON TOP (2011 f, by Globalize) In US, 4 wins at 3 and 4, $306,668 (US SSI = 5.60): 15. 1st Solana Beach H. [R] ($85,500, DMR) $150,750, 2nd Fran’s Valentine S.-R ($25,000, SA) $125,750, 2nd Campanile S.-R ($19,000, GG) $94,000. TOP EMBLEM (2004 g, by Corwyn Bay (IRE)) In US, 4 wins, 2 to 4, $165,004 (US SSI = 2.73): 21. 1st Bull Dog S. ($40,100, FNO) $64,000, 3rd Palo Verde S. ($4,500, TUP) $45,000. SILLY LITTLE MAMA (2003 f, by Dehere) In US, 5 wins at 2 and 3, $149,823 (US SSI = 4.20): 12. 1st Manhattan Beach S. ($41,325, HOL) $68,875, 1st Cactus Cup Handicap ($24,000, TUP) $40,000, 1st Brumbeau S. [N] ($15,180, TUP) $25,300, 1st Miss Gibson County S. [N] ($14,280, TUP) $23,800, 2nd La Paz S. [N] ($4,760, TUP) $23,800, 3rd Daisycutter Handicap [L] ($14,047, DMR) $94,615, 3rd Great Lady M. S. [L] ($11,901, HOL) $97,375. By GILDED TIME (1990), Champion, $975,980. Sire of 15 crops. 953 foals, 779 starters, 62 black type winners, 599 winners, $48,816,590, including Desejada Duda (Brz) (Champion), Gayego ($1,751,120, Ancient Title Breeders’ Cup S. [G1], etc. ), Elloluv ($1,297,075, Ashland S. [G1], etc. ), Mandy’s Gold ($1,081,744, Ruffian Handicap [G1], etc. ), Band Gipsy (Gp Pres Da Republica (Gavea) [G1], etc. ), Barely A Moment (AUS) (Dubai Racing Club Invitation S. [G1], etc. ), Phone Time (Arg) (Gp Raul Y Raul E. Chevalier [G1], etc. ), Clock Stopper ($799,524, Commonwealth Breeders’ Cup S. [G2], etc.). OLD TOPPER (c, by Gilded Time). Black type winner, see records. Chickamauga Trail (c, by Housebuster). 9 wins, 3 to 8, $64,426, in NA/US. Sire. Storm Crest (c, by Storm Bird). Winner at 7, $57,744, in NA/US. Blench (f, by Red Ransom). Winner at 3, $36,920, in NA/US. Producer. Monty Man (g, by Montbrook). 6 wins, 3 to 8, $127,926, in NA/US. 2nd Marshland S. [O] (DED, $10,000), Outlook S. [OR] (DED, $8,000). Can’t Stop Smokin. 4 wins at 2 and 3, $67,006, in NA/US. Mecke Girl. 4 wins at 3 and 5, $54,718, in US. WIND FLYER (c, by Full Pocket). 3 wins at 2, $212,926, in NA/US. Won Freshmen S., Morristown H., 2nd Illinois Derby -G3, Ak-Sar-Ben President’s Cup S. -G3, Rebel S., etc. Sire. Shy Trick (f, by Phone Trick). Black type placed winner, see above. Fully Reserved (c, by Full Pocket). 10 wins, 3 to 5, $76,560, in NA/US. Jason Dean. 6 wins, 3 to 5, $80,396, in NA/US. Colba. Winner at 3, $22,600, in NA/US. Producer. Raise A Champ (c, by Raise A Cup). Winner at 4, $6,305, in NA/US. PRINCE OF TRUTH (c, by Prove It). 33 wins, 2 to 9, $341,325, in NA/US. Won Salvator Mile H. -G3, Christmas Day H, Gettysburg Claiming S., 2nd Oceanport H. -G3 (1 div), Kelly-Olympic H, etc. Ntr Atl 8.50f 1 41 0. WINNING T (f, by Maudlin). Champ Imp Older Mare In Puerto Rico. Unplaced at 3, in NA/US. Winner at 5, $11,058, in PR. Won Cl Dia De La Mujer [N] (PR), Cl Robert Clemente (PR). (Total: $11,898) Dam of STORMY CROWN T (c, by Chief’s Crown. Champion Imp 3yo Colt In Pr. 13 wins, 2 to 7, $173,165, in PR. Won Cl Bandit Bomber (PR), Cl Dia De Los Padres (PR).). MODEST’S MATINEE (f, by Toasted). 6 wins, 2 to 4, $44,092, in NA/US. Won A. M. Fisher H., Edgemont H., 2nd Carmi H., 3rd Independence Day H. Producer. Two Ways To Toast (f, by Toasted). 6 wins, 2 to 5, $22,196, in NA/US. 3rd Clear Dawn S. Producer. Modest’s Caroline. 6 wins at 3 and 4, $50,330, in NA/US. Producer. Modest Misty. Winner at 3, $2,685, in NA/US. Dam of Grady’s Lady (f, by Cascade Chief. 5 wins at 4 and 5, $56,445, in NA/US. 3rd Wishing Well S. [O] (TP, $3,085).). Modest Image. Unraced. Dam of Tara Anne B. (f, by Cascade Chief. 5 wins at 3 and 4, $34,409, in NA/US. 3rd Goddess S.). Modest Beauty. Unraced. Producer. Granddam of Glows Codetoo (c, by Super Code. Winner at 2, 3, 4 and 5, $58,209, in NA/US. 2nd Razorback Futurity [OR] (LAD, $5,000), 3rd Bucharest S. [O] (HOU, $2,750).). HADEE MAE (f, by Goldlust). 9 wins, 3 to 5, $178,074, in NA/US. Won Searching S. [O] (2 div)(PIM, $19,560), Riverwalk S. [O] (RET, $15,000), 2nd Davona Dale Handicap [L] (LRL, $10,795), 3rd Sam Houston Distaff Handicap [L] (HOU, $5,500), Jersey Lilly Handicap [O] (HOU, $3,850), etc. Producer. MOD JOHN (c, by Irish Castle). 13 wins, 3 to 8, $165,183, in NA/US. Won Devon H., 2nd Minuteman H., Cochise H., 3rd Hobson H. Ntr Key 9.50f 1 58 2 (Key), Ntr Lrl 5.50f 1 03 4 (Lrl). J. ME D. (f, by Victorious). 9 wins, 2 to 5, $47,428, in NA/US. Won Green Oaks Handicap [N]. Dam of Amiera River (f, by Fraser River. Winner at 2, $26,117, in NA/US. 3rd Louisiana Futurity (Filly) [OR] (FG, $6,740).). Granddam of Amiabandit (f, by Time Bandit. 2 wins at 2, $78,549, in US. 3rd Salute S. [OR] (EVD, $6,600).). Mod Squad (c, by Barbizon). 4 wins at 2 and 3, $38,932, in NA/US. 3rd Airline S.
Raja Jewel. Placed at 3, $7,200, in NA/US. Dam of Maastricht (f, by Mining. At 2 Sent To Italy. Placed at 4, in Ity, 2,826,734 ITL. 2nd Pr Alessandro Perrone (ITY). (Total: $1,773)). Haughtymissnaughty. Unplaced at 2 and 3, in NA/US. Dam of Ohsohaughty (f, by Northiam. 3 wins at 3 and 4, $58,693, in NA/US. Won Oklahoma Stallion S. [N] (RP, $22,073), 3rd Oklahoma Classic Turf S. [OR] (RP, $5,940).). Sir Gordon (c, by L’Enjoleur). 12 wins, 3 to 8, $93,578, in NA/US. 3rd Constitution H., Pegasus H.
Toast The Road (c, by Kennedy Road). 10 wins, 2 to 6, $53,851, in NA/US. 2nd Victoria S., Yearling Sales S.
Irish Waters. 10 wins, 2 to 7, $201,924, in NA/US. Make No Waves. Winner at 3, $17,590, in NA/US. Producer. Granddam of Little Tuney (f, by Caveat. 9 wins, 4 to 8, $87,586, in NA/US. 2nd Cacapon S. [OR] (CT, $8,350).). Wave My Flag. Unraced. Dam of Flag King (g, by Screen King. 5 wins, 2 to 7, $105,102, in NA/US. Won Electric City Breeders Cup Sprint H [N], 2nd State Fair Handicap [N], 3rd Damon Runyon S. [LR] (AQU), Montana Breeders Cup Handicap [N].). Shy Song (c, by Singh). Winner at 4, 7 and 9, $2,960, in NA/US. Sire. Superbly Modest (f, by Superbity). Winner at 2 and 3, $28,670, in NA/US. 3rd Miramar S. (1 div). Mindy Tucker. 3 wins at 2, $19,176, in NA/US. Dam of CURIA (f, by Stiff Sentence. 2 wins at 2, $77,434, in NA/US. Won Tampa Bay Juvenile S. (Fillies Div) [O] (TAM, $15,210), 2nd Desert Vixen S. [LR] (1 div)(CRC, $10,000), Melaleuca S. [O] (CRC, $7,960).). Mighty Modest (c, by Our Boots). 18 wins, 3 to 7, $43,022, in NA/US. Sire. Modest Pete (c, by Our Boots). 7 wins, 2 to 6, $27,440, in NA/US. Modest John (c, by Eight Thirty). 2 wins at 2, $8,135, in NA/US. Be Modest (f, by Our Boots). Winner at 3, $7,200, in NA/US. Producer. Baby Richard. 31 wins, 3 to 12, $52,171, in NA/US. Pensive Sun (c, by Sun Again). Winner at 2 and 4, $9,107, in NA/US. 3rd Lafayette S (2 div). Cookie Cat (f, by Ponder). Winner at 4, $4,122, in NA/US. Producer. Cousin Les (c, by Page Boots). Winner at 4, $1,590, in NA/US. Race Record: (In NA/US) at 2, two wins (Best Pal S. [G3]), 3 times 2nd (Del Mar Futurity [G2], Hollywood Juvenile Chp. S. [G3]); at 3, three wins (Pat O’Brien Handicap [G3], San Pedro S. [L] (SA$48,330), Harry Henson S. [L] (HOL$40,020)), once 2nd (Affirmed Handicap [G3]), once 3rd (Swaps S. [G2]); at 4, one win, once 3rd (San Fernando Breeders’ Cup S. [G2]); at 5, one win, twice 2nd (Potrero Grande Breeders’ Cup Hcp. [G2]), twice 3rd (San Carlos Handicap [G2], El Conejo Handicap [L] (SA$12,840)). Total: 7 wins, 6 times 2nd, 4 times 3rd. Earned $655,861. 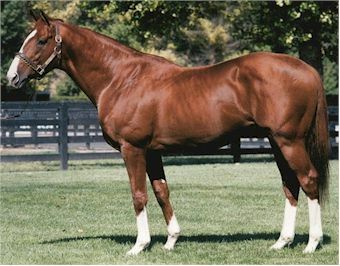 March 2017 California Thoroughbred OLD TOPPER Gilded Time – Shy Trick, by Phone Trick • Fee: $2,500 LF A perennial leading California Sire with lifetime earnings of $21.1 Million, averaging $1.5 Million per year for 14 years.